Since 2010, district 7 has been developing as a new major economic area in Ho Chi Minh City. 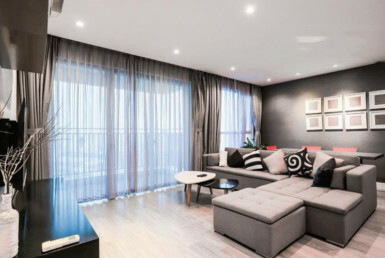 There are more than 270000 people living in District 7 area that spans over 36 km2.With the prime advantages of being new in the economics scene, District 7 has received a lot of massive investments both in infrastructure installation and urbanization development. 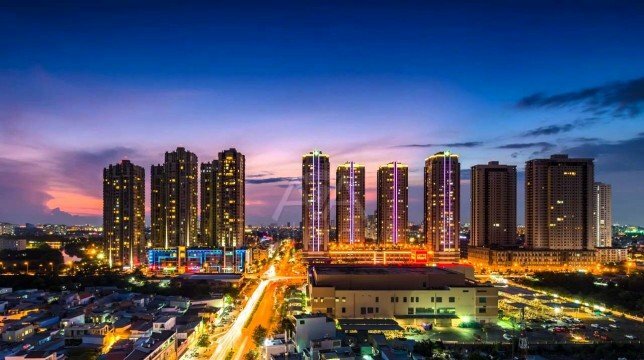 District 7 aims to be the leading district of business influence, social welfare and long-term security of Ho Chi Minh city.That is why District 7 has become the community hub of various expats who are currently living and working in Ho Chi Minh city. 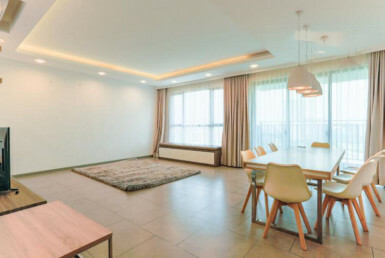 Despite the location being far from the center of the city, apartment for rent in District 7 offers magnificent deals in housing choices, famous international schools, modern public hospitals as well as other leisure and entertainment options. 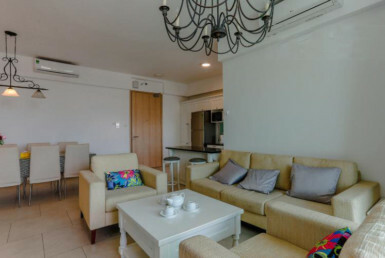 The Sky Garden apartment complex has a prime location with its entrance leading to the center of Phu My Hung area. The Sky Garden also has excellent road connectivity to other areas in District 1 such as Kenh Te Bridge, Nguyen Tri Phuong street, etc. The Sky Garden has 3 major projects: Sky Garden 1, Sky Garden 2, and Sky Garden 3. 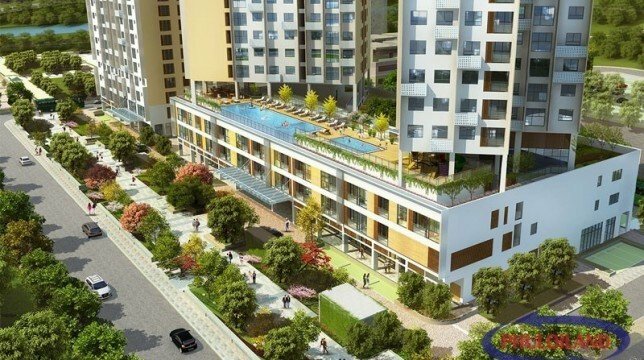 All three projects offer the residents a complete choice of a high-rise building (about 14 to 20 storey height) with various options for necessary amenities such as shopping malls and entertainment service. Built on the area of 32548 m2, Scenic Valley consists of 7 building blocks, each with 16 – 24 story high. 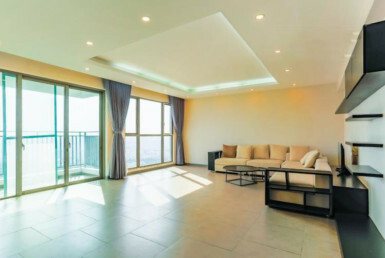 There are more than 1200 high-end condominiums, duplexs, apartments for rent and purchase. 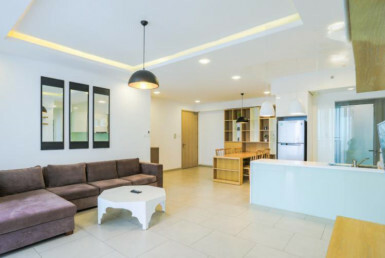 Nonetheless, the entire Scenic Valley apartment for rent in district 7 also is in adjacent to the enormous South Saigon golf-course, which bring the value of the property lot to the next level. 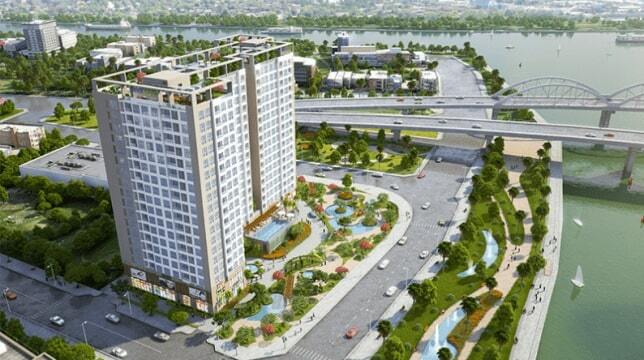 That is not to mention the magnificent Saigon river is only a few minutes from walking. 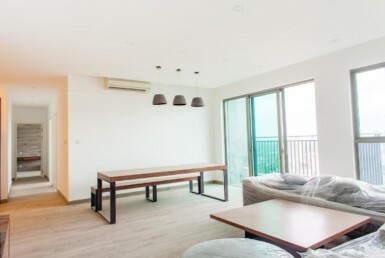 Possessing the prestige location nearby the Ca Cam River in the center of District 7; The View Riviera Point is home superb and direct access to the Phu My Hung with only 3 minutes driving (via Phu Thuan Bridge and the new link bridge). Also from the Phu Thuan Bridge, the residents can drive to any other districts with ease. 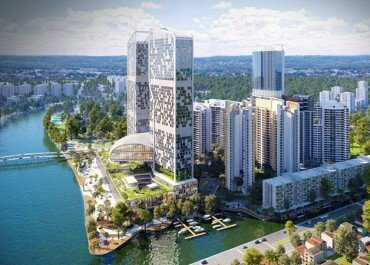 The Riviera Point is on the fast track of continuous development, aiming to release the tallest skyscraper in District 7, which offers more than 2000 luxury apartments for renting and purchase. 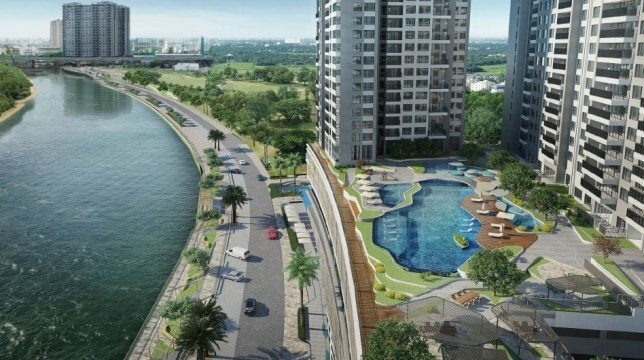 Furthermore, food and beverage malls are deployed directly along the river banks to provide the maximum convenience for the residents. 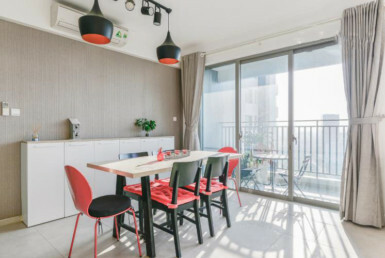 Located near Nguyen Huu Tho street, Sunrise City offers the top quality choice for residential buildings apartment and commercial buildings in District 7. There are three zones in the project: Central, North and South Towers that consist of an enormous 12 towers (each ranges from 31 to 35 story height). 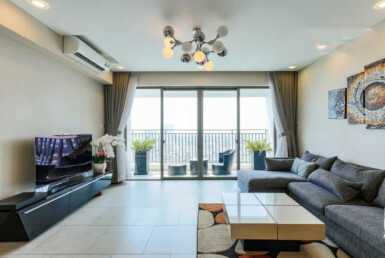 Sunrise City, developed by NovaLand, the top residential real estate corporation in Vietnam, is a monumental achievement in architectural construction that defines the 5-star living arrangements standard in District 7, along with a harmonious blend with the open space and evergreen environments. 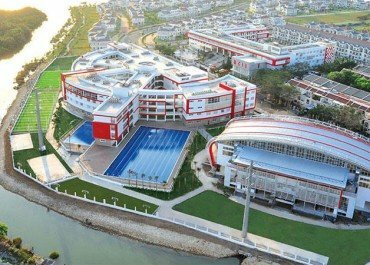 Phu My Hung urban is the most prestigious region in District 7. This area has the best showcase of the modern town. 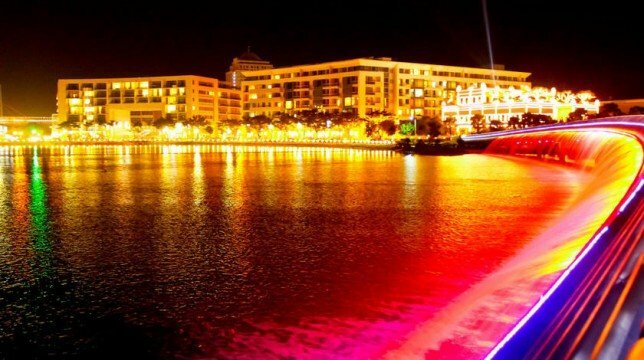 The town has high-end design and layout that are heavily influenced by Singaporean architectural disciplines. 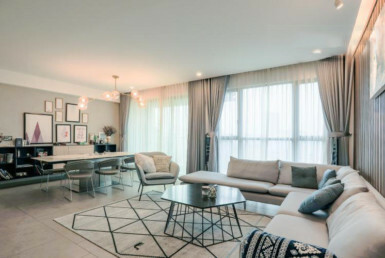 The residents in PMH urban can enjoy a vast area of high standard amenities such as lucrative housing, major shopping scene (The Crescent, The Crescent Mall, SC VivoCity Shopping Center, etc.) and plentiful famous coffee brands and shops. They have created enormous impacts on the land value and the future prosperity of PHM in specific and District 7 in general.